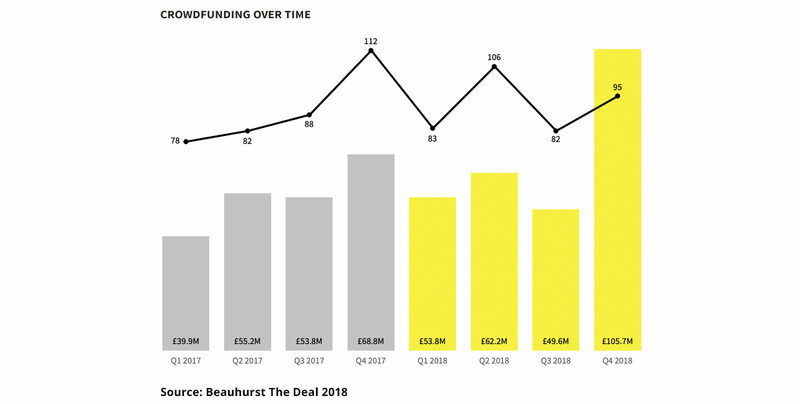 Beauhurst, the provider of data on growing British companies, has just released The Deal, a report analysing equity investment in non-listed UK companies for 2018. 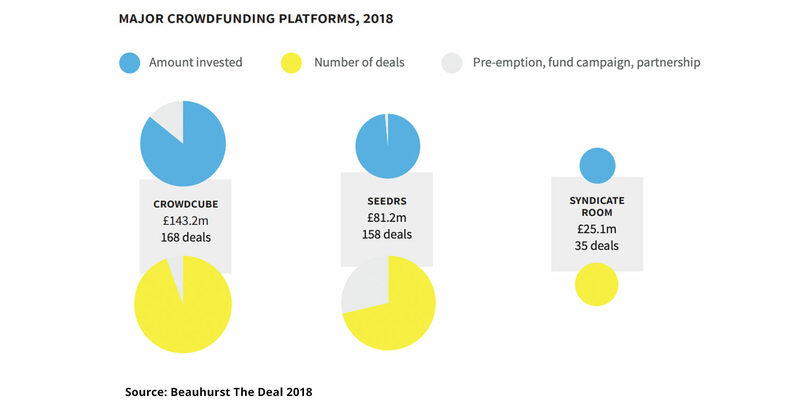 The report shows that crowdfunding currently dominates the equity investment market regarding the number of funded businesses, with Crowdcube leading the way as the platform that has funded the most companies, and facilitated the most investment. This has resulted in 76% more investment into businesses that raised finance on Crowdcube than our closest competitor, Seedrs, and 470% more than SyndicateRoom. Despite political uncertainty and although overall investment dropped in the industry from £8.72bn to £7bn, crowdfunding has become the investor of choice for many businesses, and this trend continues to rise after an incredible 2018 for investment. After our record-breaking year, it’s phenomenal to see the impact everyday investors are having on the industry, helping more entrepreneurs than ever access the finance they need to scale their businesses. Contributing to the success, in Q4 alone, Crowdcube facilitated 64% of the industry’s investment, resulting in 53% for the whole of 2018. We saw record raises from the likes of gohenry, Mr & Mrs Smith, and Monzo, which was powered by Crowdcube, raising a staggering £20m through its app. We’re proud to see the diverse range of stages of businesses and sectors raising on the platform. We reached a new milestone of completing over 100 raises over £1m, 32 of which were in 2018. We saw businesses raise across 17 sectors, with food and beverage, fintech and consumer goods being the most popular on the platform over the last twelve months. We couldn’t have achieved this success without our partner community including IdeaSquares, Raising Partners, TribeFirst and Grant Thornton (to name a few), which supported 87 businesses in raising growth finance on Crowdcube through their programmes and services. It’s fantastic to see the impact they’re having on the equity crowdfunding industry. Accelerating the UK, found that companies that attend accelerators raise 44% more equity than those that don’t, and are also 75% more valuable. 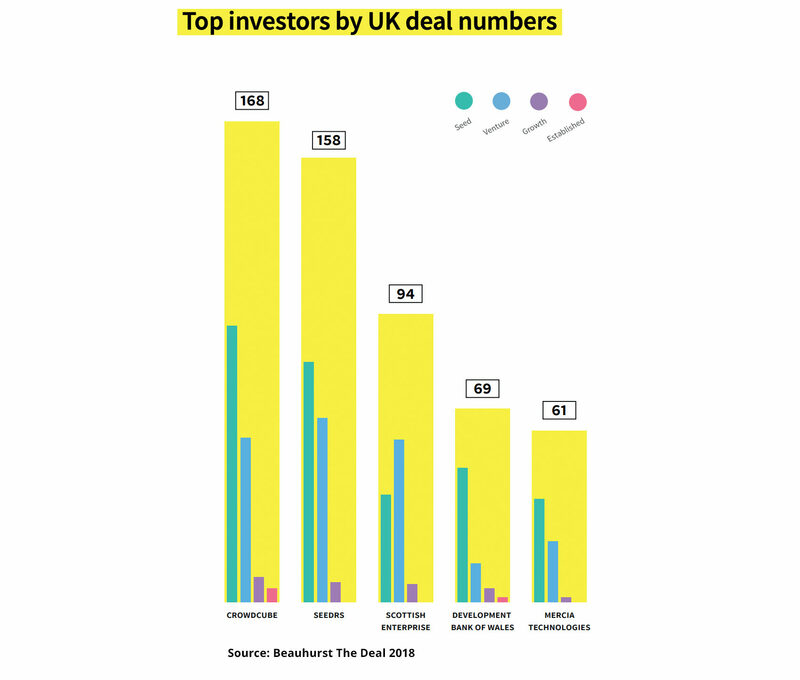 If you would like to find out more about the industry and the upcoming trends, you can read The Deal 2018, here.